The top four information technology companies in the country managed to enhance their workforce more than three times by the end of first half of 2018-19 than they did in the entire last fiscal. The Indian IT sector has come a long way since the last year's ordeal of rampant job cuts, at least in terms of net employee addition. The top four information technology companies in the country managed to enhance their workforce more than three times by the end of first half of 2018-19 than they did in the entire last fiscal. The top four Indian IT firms by market capitalisation - Tata Consultancy Services (TCS), Infosys, Wipro and HCL Technologies - reported net employee addition of 32,502 employees during the second quarter of financial year 2018-19 after accounting for employees who have resigned. TCS added 10,227 employees in Q2 FY19, which is its highest in the last dozen quarter, the tech major mentioned in its financial results for the quarter. The second largest Indian tech Infosys added 7,834 employees in the September quarter. Spurring its employee addition, Wipro saw the highest net employee addition during the last quarter this fiscal at 10,687. HCL Technologies, on the other hand added 3,754 employees during the quarter ended September 30, 2018. In the first quarter of FY 2018-19, these four companies reported a cumulative net addition of 16,502 employees. TCS added 5,877 employees to its human capital in Q1 FY19, whereas Infosys brought in 5,798 new employees during this period. Wipro reported net employee addition of only 832 in the June quarter, and HCL Technologies' net recruitment was over 4,000 employees. 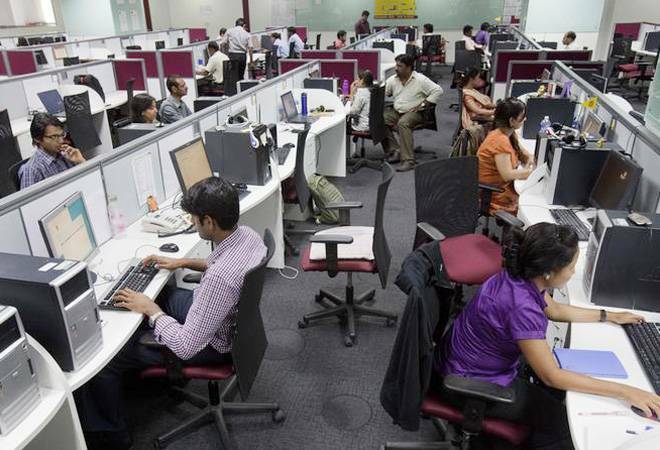 This surge in employee addition in the IT sector was fuelled by rejuvenated demand in key segments like the banking, financial services and insurance (BFSI), an all-time low number of professionals available for newer projects, and spike in sub-contracting costs, a report by the Business Standard said. With new and digital opportunities picking up, and inflow of large deals, IT companies have decided to step up their pace of recruitment as they vie for the available talent. Last year, IT companies handed pink slips to a significant chunk of their workforce due to factors including value compression, automation of existing job profiles, migration to cloud technologies, among other reasons. TCS, Infosys, Wipro and HCL Technologies, according to numbers quoted by them, had added around 14,000 employees for the entirety of fiscal 2017-18. TCS was the biggest recruiter during FY18 as it hired 7,775 employees, whereas Infosys hired 3,743 employees. While Wipro's net employee addition slipped into the negative, HCL technologies added 4,108 employees.